The More You Eat, The Sooner You Die - Something New Everyday! 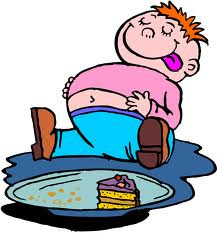 overeat - unless you wish to shorten their healthy living and perhaps die younger! "What's wrong with eating too full?"" The more you eat, the sooner you die. The lesser you eat, the longer you live." This is what Dr Lee always says in his health talk. He also mentions, "Eating too full causes all sort of health problems such as hypertension, diabetes, stroke, etc." Mice experimentTo see how eating habit affects life span, a professor from University of Texas did an experiment on mice. protein is harmful to your body too. We don't need so much protein after all. different cities every day. Instead of using it 1 hour a day, you use it for 10 hours a day. Instead of driving at 70 km/h, you always speed up to 170 km/h, hitting engine's red line. If you eat an extra bowl of noodle, your pancreas has to produce extrainsulin hormone to process the extra carbohydrates you take. If you drive your car slowly and handle it gently, you can use it for along time. But if you always floor the accelerator and drive like a rallydriver, you know the consequence on your car life span. Side effect of eatingYour car engine burns fuel to move your car and bring you to anywhere you like to go. As a result, the engine produces exhaust smoke which is toxic. It must be dispersed out from your car. Similarly, your body cell burns nutrient for energy to survive. In the process, it produces free radicals. Since free radical is toxic to yourbody, it has to be neutralized and expelled. "Just metabolizing food especially fatty and carbohydrate-rich fare causes the body to produce free radicals, which attack cells and can promote the development of chronic conditions including heart disease, diabetes and cancer," says Ronald L. Prior, Ph.D.